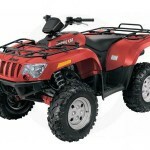 An all-terrain vehicle (ATV), also known as a quad, quad bike, three-wheeler, or four-wheeler, is defined by the American National Standards Institute (ANSI) as a vehicle that travels on low-pressure tires, with a seat that is straddled by the operator, along with handlebars for steering control. Pretty formal description isn’t it? You know what a quad or an ATV is and so do we. It’s a great machine for having some fun or helping you with your chores. But, if you can no longer use yours or if you need to sell it for any reason, let us know. We want to buy your ATV. We’re looking for all makes of ATVs and all models of ATVs that can range from late models back to the early 2000’s. 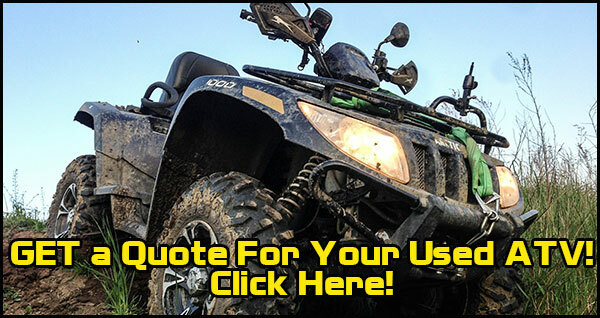 From sport quads to sport/utility to side x sides, we want your ATV and we’re willing to pay a fair price to buy it from you. From Arctic Cat to Yamaha and every make in between, we are buying used ATVs nationwide. 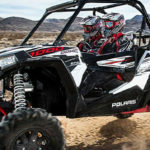 Let us know about the ATV you want to sell so we can offer your a great price and handle all of the details of the sale. Your ATV is not getting more valuable by sitting there, sell it to us and turn your quad into cash.